Some Uber riders in Florida are accusing their drivers of engaging in some truly stomach-churning fraud. 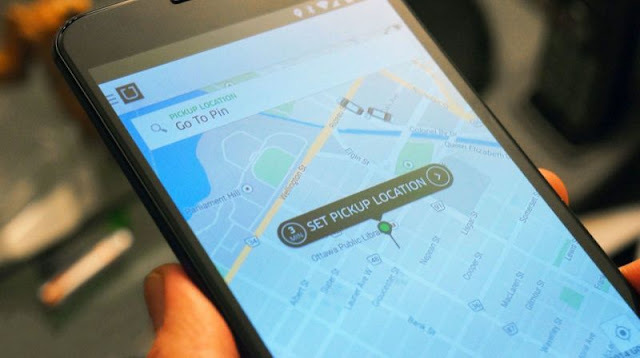 According to the el Nuevo Herald, several customers claim unscrupulous drivers have falsely accused them of puking inside the Uber vehicles, making the riders responsible for bogus clean-up charges. Miami resident William Kennedy told the publication he was victimized twice in one night. “It was a total fraud by two different drivers,” Kennedy said. “They have everything planned for the fraud,” Kennedy said. The scam, which has been dubbed “vomit fraud,” has been around for a few years. Reports of it have surfaced in different parts of the country, including New York and California. The shysters will reportedly pick a customer up, deliver them to their intended destination and then report to Uber the individual vomited in the vehicle. The drivers allegedly provide the company with fake pictures of the mess, whereupon the company hits the passenger with a large clean-up bill. One Uber driver, who asked the el Nuevo Herald to remain anonymous, said she’s aware of the scam and knows drivers in South Florida who have done it. Some victims have reportedly had a difficult time getting Uber to refund the fraudulent charges. Others said they’ve complained and have yet to receive a refund. Miami police told The Miami Herald the fraud “is difficult to consider as a crime.” Complaints, according to the department, are between the passengers, the company and its drivers. 0 Response to "Riders Say Uber Drivers Are Using Vomit To Scam Them"